Smile... there is always a way to find balance! What is UP with the news lately? How to make heads or tails of it? Eat Fat? not sugar.... and Sugar DOES cause obesity, and can lead to diabetes, hypertension, poor immune response, as well as contribute to a host of other diseases "on the rise" since the 1960s. As usual, all the news stories can become a bit heady. Stick to the basics. But what are the basics anymore? (Be sure to click on the orange lettered link above the kewt kitty photo! for a very informative video by Dr Robert Lustig about fat's role in Your Good Health). And read labels! Another necessity to be healthy??? The trick on us has been exposed. Reading labels is the only way to get ahead of eliminating sugar from your diet. But no worries! Right here in this blog, and in the blogs of many many others sincerely doing our best to get the info in your hands and the healthiest food In your body, the science is revealed. Food manufacturers can rename sugar and even place it lower in the ingredient list by splitting up the types of sugar they added to a food substance to trick your tongue and brain into ...WANTING MORE. Bottom line: In late 1950s, early 1960s, some research about the impact of eating sugar was brushed under the rug. The sugar industry paid some influential folk to say that fat is the problem-causing substance, not sugar. [ See these links as well as others provided throughout Lifestyle Modification Support : Sugar Lobby Paid Scientists to Blur Sugar's Role... and JAMA's articles ] Then food manufacturers got busy! Changing food into food substances that would be so addictive (as the lab rats revealed) that people just could NOT get enough became as easy as train robberies in the old wild west! One more thing, before I go. I cannot reiterate enough that low fat products have LOADS of Sugar in them! Look up the many other names for sugar that can be used on the ingredients lists of foods. STOP eating low fat foods! That is, stop eating them, if your goal is to lose weight and, literally, feel much much better. Posted on March 12, 2017 by Janet Still MSN FNP and filed under discussions, janet's writing, Research studies, information and tagged Nutrition obesity Food. Pearl the Golden... loving the sands and Ocean... origin of our elemental bodies. I am including yet another review of the ongoing, ever blossoming revelations, of research on just how vital our gut's ecology is to our physical well being. In fact, there is an increasing body of data to support that the microbiome of the gut is very much the contributor to our mental well being as well. So, please, dear readers, read these shares and contributions on the widespread expansion of knowledge regarding the intricacies of how to support your intestinal health in order to improve many many types of symptoms you may be experiencing... especially this upcoming winter season in the northern hemisphere. And, always, dear readers, Be Well! "Probiotics are secret weapon for fighting symptoms of the common cold in college students, study suggests." - University of Medicine and Dentistry of New Jersey (UMDNJ)." Posted on September 23, 2016 by Janet Still MSN FNP and filed under janet's writing, discussions, Research studies and tagged probiotics diet Nutrition Lifestyle. A High Fat Diet Reverses ALL coronary risk factors...why? This video presentation is a simple (and therefore, hopefully, easy to understand...let me know) update on some of the latest research backing up the already well known regarding vagaries of nutritional counseling. In the video, Dr Noakes shares a number of recent resources on this topic. Davis, William (2011). The Wheat Belly. Can also read more from several places: http://www.wheatbellyblog.com/ and https://www.facebook.com/OfficialWheatBelly to get you started! Rothberg, MB. (2013). Coronary artery disease as clogged pipes: A misconceptual model; from Circulation: Cardiovascular Quality and Outcomes; 6: 129-132. Posted on February 11, 2016 by Janet Still MSN FNP and filed under discussions, Research studies and tagged Nutrition Diet Weight Loss. I attended a session yesterday at the European Society of Cardiology (ESC) 2015 Congress entitled, "What should you eat to live a heart-healthy life?" By all accounts, accolades, and high-fives following the presentation, it was life-changing. Dr Neil Thomas (University of Birmingham, UK), Dr Steen Stender (University of Copenhagen, Hellerup, Denmark), Dr Simon Poole (Cambridge, UK), and Prof T Meinert Larsen (University of Copenhagen, Frederiksberg, Denmark)—all nutrition gurus and scientists—spent 67 minutes teaching us how to save the world. It was probably the most important series of the entire ESC 2015 meeting because they advocated for nutrients whose side effects are nil (for most) and are readily available for mass consumption (in most places). They demonstrated how a population of unsuspecting individuals could be sickened when a government allows a food supply to become tainted by commerce and ignored by politicians. They proselytized with proof and enthusiasm that we need to educate and legislate on the topic of nutrition to save millions upon millions of lives and dollars. Dr Steen Stender dreams of a world without trans fat. He knows why it has been favored by the food industry: it's cheap, can hold its shape as a semisolid at room temp, has an ultralong shelf life, and stands up to repeated heating. Dr Stender also understands why the 2006 Nurses' Health Study published in the New England Journal of Medicine demonstrated a 33% increase in the incidence of coronary heart disease when 5 g or more of trans fat per day is consumed. Its ability to increase LDL and decrease HDL levels is a negative double-whammy in the lipid arena. Because Dr Stender stood up to big commerce, he is now a superhero in the world of trans-fat legislation. As chair of the Danish Nutrition Council's subgroup dealing with trans fats and health, he convinced the country of Denmark to approve a ban there effective January 1, 2004. It is now illegal for any food to contain more than 2% trans fats, and offenders face hefty fines and even incarceration. Proof of the downside of taking a hard stand on trans fat is the fact that he was sued after he outed the content of a favorite snack wafer. He likened the public's risk of consuming it to that of smoking 10 cigarettes per day. Sales plummeted, and the company sued him for $1 million. Then, in a stunning turnaround, in 3 months, it dropped the suit and removed 100% of the trans fat in its product. The number of Danes who died from cardiovascular disease fell by 70% between 1985 and 2009. No EU member state has recorded a greater decline in mortality. Could the ban on trans fats in 2003 be the cause? Indeed, it seems that Dr Stender's dream for Denmark may have already come true. In my office, I have a copy of the Mediterranean diet pyramid at checkout for every new patient. Many established patients who suffer from metabolic syndrome, coronary artery disease, or obesity receive a second or even a third copy. I spend hours teaching the simple mechanics of nutrition. I stress that it's more impactful on longevity than any metal scaffold electively deployed into a coronary artery. I found a kindred spirit in Dr Simon Poole. His salient points came rapid fire, finding their mark and leaving quite an impression. "If patients with coronary artery disease came out of the office of a practicing physician or cardiologist not on a statin, you could argue that's a negligent practice, but I'd argue that most have no advice on diet. I lay down the gauntlet. We as physicians need to emphasize diet," he began. He then lauded Dr Stender by saying, "Steen has done remarkably well with his government. Our secretary of state wanted to make an impact. We were shuffled into a room to discuss how to decrease mortality in 2.5 years. We emphasized "brave legislation" (hinting at labeling, reduction in trans-fat content, and education). The reply was a terse, "Well, we don't do social engineering." Someone in the group argued, "If you look at eye-level in a market at the packaging of chocolates for children . . . if that isn't social engineering, I don't know what is." He made the salient points that simple things like irrigation of olives decreases the antioxidant content of olive oil, which can ruin even good foods. 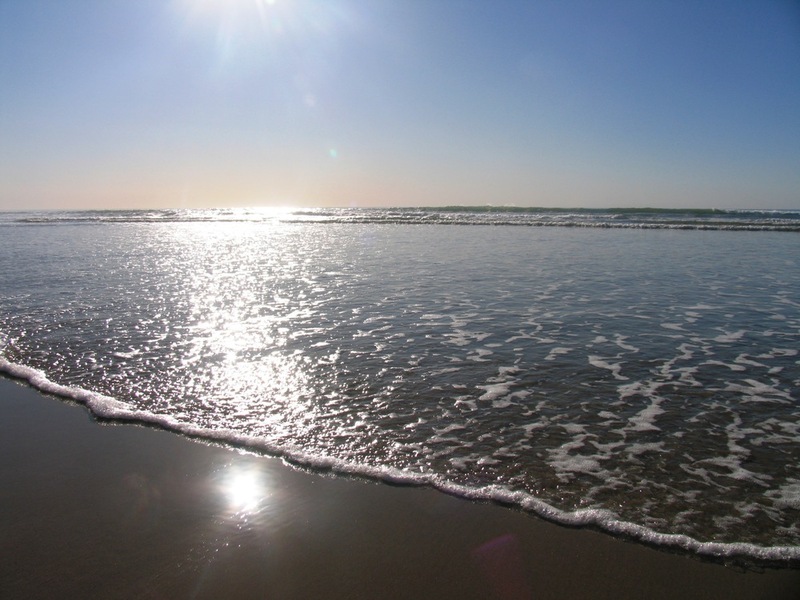 When UV light replaces natural sunlight, it can be impactful. Furthermore, he consumes up to 50 cc of olive oil per day and recommends frying fish in it and pouring it on pasta. He doesn't count calories. I quickly asked the expert if anything about my usual dietary recommendations could be improved. I told him that I advocate for cutting in half the consumption of bread, sweets, potatoes, pasta, and rice and to eat five servings of fruits and vegetables per day. I recommend a maximum of four eggs per week and no more than one serving of red meat per month. Dr Poole replied, "I don't discourage consuming pasta if they drizzle olive oil on it because it lowers the glycemic load. I'd die without having red meat once per week but the portion is very, very small," he said, pointing to a small portion of the palm of his hand. "It's always grass fed," he added and quipped, "I always know what my food ate." Further critiquing my recommendations, he added, "I would go for more than five portions of fruit and vegetables per day. Butternut squash, for instance, and cucumbers are fruits of sorts. As for eggs, they are back on the menu." His friend Dr Aseem Malhotra (Frimley Health NHS Foundation Trust, Camberley, UK), who was standing nearby, added, "Following an MI, for mortality lowering, a high-fat Mediterranean diet is more effective than aspirin, statins, and coronary stents." It was a statement thrown like a fastball toward home plate, its implication staggering and dead on target. Dr Poole concluded his presentation today by stating, "We need broader professional leadership and access to resources. Education is key. We need to take responsibility." Dr Neil Thomas emphasized the importance of respecting the many randomized controlled trials assessing the effectiveness of the Mediterranean and DASH diets to reduce all cause mortality. The impact of uneven recommendations and the impact of the media's influence cannot be underestimated. He cautions against supplements, stating that, "The media regularly reports on omega-3 fatty acids for prevention and treatment of CV disease, but there are no interventional studies that demonstrate a reduction in mortality. The US Preventive Services Task Force found no evidence of a positive effect of any nutritional supplement. Although there was a 7% reduction in all-cause mortality in one study that included vitamin D, those studies included simultaneous calcium supplementation. Those with vitamin D alone are all negative," he said, then added, "There are two larger trials upcoming that will be definitive regarding whether it's beneficial." He concluded by saying, "With regard to beta carotene, as soon as you start giving it in interventional trials it actually increased the risk of death." Dr Thomas Larsen is studying multiple dietary combinations like high- or low-glycemic-index diets combined with higher or lower fatty- and protein-content diets. According to the DIOGENES trial, he noted, patients who followed a low-protein and high-glycemic index diet were more likely to gain weight. He then added, "High-protein diets, not low-glycemic-index diets, are the most promising for regulation of fat mass and abdominal height." He concluded that based on the Diogenes diet and others, "a high-protein, low-glycemic-index diet may have additive effects to improve body-weight regulation, is more successfully maintained, and may be more likely to lower CVD risk factors if followed long term." I challenge you take this information into your exam rooms tomorrow. Bring along a copy of the Mediterranean diet pyramid. Talk to patients about how adding extra virgin olive oil blunts the glycemic index of whole-wheat pasta. Advocate against unfounded claims for dietary supplements. Strike up a conversation with your local congressional representatives. Imagine how we as clinicians and practitioners can change the world one conversation at a time, one politician at a time, and one act of legislation at a time. If you can see the future, you can make it happen. Imagine how the world would eat and live if we all did that tomorrow. Just imagine. Yes, imagine a world where wellness is revered and respected again! Thank you, Melissa Walton-Shirley, for one of the most exciting and inspiring reviews I have read in some time!! Posted on September 9, 2015 by Janet Still MSN FNP and filed under discussions, information, Research studies, resources, visions and tagged conditions Nutrition. When is the last time you heard someone say that? Right before you sunk your teeth into some juicy sodium nitrite? People typically don’t consider the chemicals in their cuisine. However, additive-laced processed foods have become more American than apple pie. Americans spend 90 percent of their food budget on processed food, claim some sources. It’s more convenient. It can be less expensive. But is it as healthy? Dietitian Kate Patton and intern Sara Saliba of Cleveland Clinic’s Section of Preventive Cardiology & Rehabilitation explain. The Food and Drug Administration (FDA) has approved thousands of additives for use in food. But while consuming small amounts is safe, it may be warranted to limit the amount of these foods you consume. What’s so bad about food additives? “People should eat a healthy diet, rich in fresh vegetables and fruits. Eating a diet rich in processed foods is linked to many health problems, such as high blood pressure, heart disease and cancer,” says Ms. Saliba. Sodium nitrites help stabilize, flavor, and provide a bright red color to meat. When the meat is heated at high temperatures or combines with stomach acid, sodium nitrite can produce nitrosamines, which is linked to an increased risk of pancreatic and colorectal cancer. 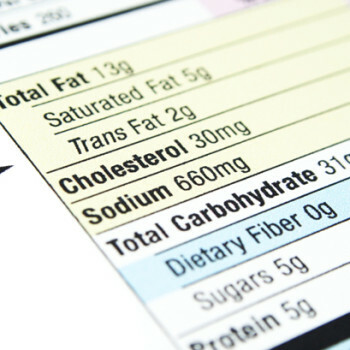 Trans fats is a type of fat added to foods to extend its shelf life or improve the consistency. It increases LDL or bad cholesterol, which increases the risk for heart disease. Monosodium glutamate (MSG) enhances flavor and texture in Asian foods, soups and other processed foods. Many people are sensitive to MSG. People with MSG sensitivity can experience nausea, breathing problems and other reactions. It also adds extra sodium, which can elevate blood pressure. (Look for these ingredients on the label: natural flavoring or hydrolyzed vegetable protein). FD&C yellow #5 and #6 has been linked to hyperactivity in children. It can cause severe allergic reactions, especially in people with asthma. Food dyes come from chemicals, so try to choose foods that are in their natural state and color. 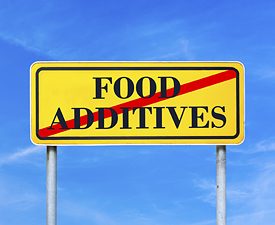 How can you avoid unhealthy additives? Buy more fresh foods than processed (or “convenience”) foods. Farmers markets are good places to shop. If fresh foods are not available, choose frozen fruits and vegetables without any additives. Avoid prepackaged, pre-cooked meals. Cook your own meals so you know what is in your food. Check food labels. Don’t buy products with known additives, and beware of other ingredients you can’t pronounce. “By following these tips, your food will be healthier and more nutritious as well as fresher and more naturally flavorful,” says Ms. Patton. Schlosser, E. (2002). Fast Food Nation: The Dark Side of the All-American Meal. New York, NY: Houghton Mifflin Company. Do you have a sweet tooth? Most of us will overindulge at times. But the more sugar we consume, the more we want, says Mark Hyman, MD. However, the good news is that people can break the sugar addiction in 10 days. Here's how. Do you have a sweet tooth? Most of us will overindulge at times. But the more sugar we consume, the more we want, says Mark Hyman, MD. However, the good news is that people canbreak the sugar addiction in 10 days. Here’s how. Posted on August 24, 2015 by Janet Still MSN FNP and filed under discussions, information, mission statements, Research studies, resources, visions and tagged infographic Nutrition. EMBO Rep. 2005 Jul; 6(7): 612–614. Does the pharmaceutical industry manufacture diseases as well as drugs? Most people may not have heard of metabolic syndrome, but that is likely to change. Once known mysteriously as Syndrome X, the condition, a precursor to heart disease and type 2 diabetes, is about to be transformed into a household name by the US pharmaceutical industry and its partners in the medical profession. A society dedicated to addressing the condition has been organized, a journal has been started, and an education campaign launched. Patients are already being tested for metabolic syndrome. As the trade publication Pharmaceutical Executive said in its January 2004 issue: “A new disease is being born” (Breitstein, 2004). The situation is reminiscent of the attitude towards cholesterol. Twenty years ago, physicians were not concerned about the effects it might have on heart disease. Today, thanks to efforts by pharmaceutical companies, high cholesterol levels are now recognized as a major health problem. In fact, IMS Health, a global healthcare information company, reports that the two best-selling drugs in 2004 were statins: Lipitor® (atorvastatin calcium) from Pfizer (New York, NY, USA)—valued at US$10.6 billion with growth of 13.9% over the previous year—and Zocor® (simvastatin) from Merck (Whitehouse Station, NJ, USA).Pharmaceutical Executive noted: “The emergence of cholesterol reduction as a market was a major event for pharma. Metabolic syndrome promises to be as big or bigger” (Breitstein, 2004). However, critics note that not every new disease for which the pharmaceutical business provides a drug is necessarily a major public health problem, but rather a venue for drug companies to increase revenues. Pharmaceutical companies research, develop and exploit drugs to prevent, control and cure diseases and treat symptoms. Companies then market these medications to recoup their investments and reward shareholders. It would seem to serve the interests of society, but some critics characterize it as a vicious circle in which businesses invent new diseases to match their existing drugs. Increasingly, industry has found itself under fire from detractors who contend that, in the pursuit of profits, companies are in league with medical doctors and patient advocacy groups to 'disease monger': convince people that their usually mild ailment urgently needs drug treatment. The late medical journalist Lynn Payer addressed the issue in the early 1990s in her book Disease-Mongers: How Doctors, Drug Companies, and Insurers Are Making You Feel Sick. She wrote: “Disease-mongering—trying to convince essentially well people that they are sick, or slightly sick people that they are very ill—is big business.... Disease mongering is the most insidious of the various forms that medical advertising, so-called medical education, and information and medical diagnosis can take.” Similarly, Arthur Caplan, Professor of Bioethics at the University of Pennsylvania, Philadelphia, USA, last December told the popular American TV programme 60 Minutes, “If you want to stir up worry in the public, and you've got the advertising dollars to do it, you can turn almost anything into a disease.” The focus of the 60 Minutes report was the recent emergence of a market for adult attention deficit disorder (ADD)—the traditional view was that ADD afflicted only children who would eventually outgrow it. Critics such as Payer and Caplan maintain that the routine human condition—unhappiness, bone thinning, stomach aches and boredom—is increasingly being re-defined as disease: depression in its milder forms, osteoporosis, irritable bowel syndrome and attention deficit disorder. Likewise, risks factors, such as high cholesterol and high blood pressure, are declared diseases in their own right—hyper-cholesterolaemia and hypertension—with falling thresholds resulting in more people considered to be sick. In other cases, drugs approved for devastating illness, such as clinical depression, are indicated for milder conditions, such as shyness, which is now dubbed 'social phobia'. “I certainly have watched adult attention deficit disorder start to spread out from the first grade/kindergarten crowd right up to adulthood. I am suspicious because I think that this expansion is fuelled by Lilly and Strattera®,” Caplan commented. “I don't like the way their website [suggests that] people go pester their doctor if they have problems waiting in lines or get frustrated being put on hold on the phone.” Lilly did not respond to a request for comment. One such example is social anxiety disorder, better known as shyness. GlaxoSmithKline (Uxbridge, UK) had the indications for its antidepressant Paxil® (paroxetine hydrochloride) extended to treat social anxiety disorder, an extreme form of shyness marked by fear of public speaking, eating in front of others or using public bathrooms. The FDA approved this new indication in October 2003. However, “shyness is a new disease invented by Glaxo,” said Sidney Wolfe, executive director of the Public Citizen's Health Research Group (Washington, DC, USA). “In a pathological way I'm sure that people are so shy it can be a disease. It can be a real downside for people. A lot of these people are depressed. A number of these people are shy because they have been physically or sexually abused when they were younger. Shyness is generally a symptom of something else and to gloss over finding the cause and to just throw a drug at someone is doing a disservice.” GlaxoSmithKline did not respond to a request for an interview. The USA is the epicentre for both drug and drug-marketing innovation. In addition, it is the only developed country apart from New Zealand that allows direct-to-consumer advertising for medications. According to Moynihan, consumers are exposed to an average of ten drug advertisements per day on news programmes, sitcoms and soap operas, which has a major impact on their view of disease. “The drug ads are changing perceptions of human ailments and conditions and experiences,” he said. Referring to the process in which disease prevalence is maximized, Moynihan cited GlaxoSmithKline's campaign to market Paxil in the late 1990s, when pamphlets were distributed suggesting that one in eight Americans had social anxiety disorder. “One in eight Americans! This is clearly an absurd fiction. The point of that is to try and make ordinary people feel sick,” Moynihan said. It's not healthy for children or adults to sit in front of a wall of drug-company promotion every day that tells healthy people they're sick. Although other developed countries may not have direct-to-consumer advertising, they are not immune to the influence of marketing campaigns. “This is a global phenomenon,” Moynihan said. “In other countries, you can't advertise drugs direct to the public, but you can run and sponsor disease awareness campaigns and that's what they see in Europe and Australia.” In fact, in the autumn of 2003, Germany's largest weekly news magazine Der Spiegel devoted a cover story on the topic, based on German science journalist Jörg Blech's book Die Krankheitserfinder (The inventors of disease), which analyses how the pharmaceutical industry invents new diseases to increase sales of their drugs. Jerry Avorn, a medical professor at Harvard University and Chief of the Division of Pharmacoepidemiology and Pharmacoeconomics at the Brigham and Women's Hospital (Boston, MA, USA), is a long-time critic of the drug industry's marketing practices. However, he is also sceptical of the social critics: “The reason we're not still using leeches is we base our decisions about drugs on well done clinical trials of what works and what doesn't. Nothing that comes out of the realms of anthropology or philosophy matters much if the science isn't taken into account.” According to Avorn, there are two extremes in the discussion: those who overpromote the pill-for-every-ill philosophy and nihilists who view diseases as being invented. “The truth is somewhere in the middle,” he said. Faced with increasing costs for healthcare services to cover drug prescriptions, politicians have also begun to investigate the issue of disease mongering. In 2004 and 2005, the British House of Commons held hearings on practices of the pharmaceutical industry, including disease mongering. In March 2005, the House of Commons Health Committee published a report, The Influence of the Pharmaceutical Industry, in which it expressed concerns about the effects of “medicalisation of our society—the pill for every problem.” The committee did not blame this trend solely on the pharmaceutical industry, but rather said the industry has encouraged it by acting as a “'disease monger', with the aim of categorising an increasing number of individuals as 'abnormal' and thereby requiring (drug) treatment. This process has lead to an unhealthy over-reliance on, and an overuse of, medicines. It also diverts resources and priorities from more significant disease and health problems” (House of Commons, 2005). To increase people's awareness of disease mongering, Moynihan called for “a more robust conversation” on regulation. “The disease-awareness campaigns need to be seriously regulated. It's not healthy for children or adults to sit in front of a wall of drug-company promotion every day that tells healthy people they're sick,” he said. “I actually think quite strongly that there must be a conversation about how or if to regulate this. I think that's extremely unlikely [in the USA] in the near future. I think the Europeans are a little more civilized about this stuff. And in fact the Europeans recently rejected loosening the rules on advertising.” As governments and public healthcare systems are increasingly confronted with the high cost of medications, no doubt the issue of medicalization and disease mongering will become even more important in future debates. Posted on July 15, 2015 by Janet Still MSN FNP and filed under discussions, information, Research studies, resources. Do You Know the Colour of Body Fat? By Chronic Conditions Team | 4/23/15 7:00 a.m. Body fat gets a bad rap, but you’d die without it. Body fat stores crucial energy. It provides insulation. It protects your organs. It even helps hold your cells together. But too much of a good thing can be fatal. Explore this field guide to human body fat. Discover the different colors and what they mean. Learn which kind of fat can kill you and what you can do about it. Posted on April 23, 2015 by Janet Still MSN FNP and filed under discussions, information, Research studies and tagged infographic. Research smee-search, what does it mean? Research is a diligent, controlled study that validates and refines existing knowledge and develops new knowledge. The ultimate goal of research is the development of an empirical body of knowledge for a discipline or profession. Research is essential to develop and refine knowledge that can be used to improve clinical methods of care, for example. What some simply call "science" is the practice of this type of detailed and recorded observation, which is then analysed and compared to many (hopefully) other studies to draw a yet newer overall picture of the studied method/practice. Critical thinking, developed and practiced, is essential to analysis of research results. So, setting up a formal study of a treatment or methodology for giving care for specific illness must consider carefully how to prevent "noise" in the observations as well as in the reading and the application of results. Many procedures have been created for insuring unaffected and non-biased studies. These various procedures are the result of continued analysis too. Critical thinking, then, refers to a process of ordering thought such that reasoning is reliable and inarguable. The professional that provides specialize care must have the ability to provide exceptional physical assessments as well as good critical thinking to assist patients in serious and unstable conditions to reach their maximum health. You might say that goes without question...yet perhaps one should question this very situation! There are as many angles to scrutinizing your healthcare situation as there are words in this sentence (entirely too many haha). I have written on this topic in a number of philosophical articles in this blog. But practically speaking, what matters is what works; and I, like other healthcare providers and experts, have come to recognize that the patient at the center of decision-making is key to effective treatment. Communication is integral in healthcare on levels too many to attempt enumerating in this article. Understanding the basis of treatment....research studies ...at least a basic understanding, is you-the-patient's tool for assessing the validity of a treatment choice. As always, at the bottom of this article, I will include some resources for you to have in hand for those treatment discussion clinic appointments. Despite the suppressed groan of healthcare workers and providers on seeing the patient arrive, armed with education of all things! you-the-patient are the primary decision-maker regarding your care, whether you abdicate your power or not. So their reaction expresses either their lack of understanding or their poor communication skills in previous encounters with educated patients. Let me insert here, especially for healthcare providers scanning this, that you-the-patient are not the expert on the latest research just because you found some articles. You are the expert on You, on what works for your balance in your life, on interpreting an illness' priority in your life, and on what amount of surrender you are willing to experience in a health crisis. The healthcare providers are your tools - to interpret pertinent research, to explain options in care, to find you the best specialists available at your behest, and/or to provide you the treatment that you both agree is most suitable given your unique circumstances. (See the References below for current thought on patient-centered healthcare). One last example to flesh out the reasoning behind understanding research.... statistics. Ugh, one might comment, meaningless numbers. And I agree the numbers out of context are quite meaningless. Recently, my partner in a documentary presentation of chronic pain asked me why the total numbers given of the condition have such a wide disparity. He could not understand how to present such a spread when speaking of the occurrence of the condition. There are key pieces to creating a research study. One piece is what is called the sample. The sample is how large (or small) the number of subjects in the study. The media is fond of headlining big or small numbers for capturing your attention. But the number is meaningless unless you know how many people were actually studied. In other words, stating that 80% of subjects studied improved with a drug is not so sensational when you read further and learn only ten people were used in the study. Another study with a much larger sample of the population might (probably would) have a much smaller percentage result. There is even more to this number thing....how were the subjects decided upon? what age group? what gender? what region of residence? on and on.... so many conditions that can affect the outcome. Another piece that causes seemingly wide gaps in given results of formal studies is when was the study performed? Was the study you are reviewing for a particular nation? or global? What exactly is the study attempting to define? and what you are looking for? Like any internet search, the keywords determine the results. So before you begin to look for answers, define your question as concisely as you can in order to actually obtain some good leads. If you are coming up with widely diverse answers, why? Maybe this is a question for your provider as well. Yet, you may not be paying attention to details like how old the information is (look at dates on your links! ), what aspect of the condition the research was designed to study (cause, symptomology, treatment, epidemiology), do you have the correct title of your condition (diabetes one or two give very different results). To encapsulate the point of this brief essay: research is meant to establish the most reliable observations of the current day on particular conditions or organisms. Of course research is of multiple disciplines, astronomy, biology, mathematics and physics, genetics, environmental mechanisms, and more. And research is an ongoing, ever dynamic study analysis of the discipline or of the condition....so there can be and ARE changes in the accepted thought and practice, based on research. In this essay, I attempt to provide another way of perceiving research that directly impacts You. My viewpoint is take all research "results" with a grain of salt as my grandparents used to say. And look further, deeper. Who funded the study? Did anyone building the study's design have reason to desire one outcome over another? Were the methods used of the highest standard today? and how do you know that? But finally, as always, get some varied expert opinions on the study results. And do not take the first opinion out of the gate! This is your life. Make it interesting....by taking part in the decision-making. A quirky but informative (and short) video explaining the very basics of research by Greg Martin with Global Health: https://youtu.be/PDjS20kic54 This is the first of several he produced to elucidate what is research and research methods. Essentially, he puts research in context in the world. For a really fun learning experience the Khan Academy has raised the bar. A father wanting to help his son with mathematics has turned into a hugely popular online interactive virtual lesson platform. Keeping on topic with healthcare, I am providing you the link to the Biology school: https://www.khanacademy.org/science/biology Know that Khan Academy is known for its comfortable, friendly and fun demeanor making all "lessons" easy as a game. Epstein, R., Fiscella, K., Lesser, C., & Stange, K. (2010). Why the nation needs a policy push on patient-centered health care; Health Affairs 29(8); 1-7. Posted on April 18, 2015 by Janet Still MSN FNP and filed under discussions, information, janet's writing, Research studies. By Urinary & Kidney Team | 10/31/13 11:01 a.m.
Posted on April 18, 2015 by Janet Still MSN FNP and filed under information, Research studies, resources and tagged infographic. “Old age is mostly genetics according to latest findings, but what condition one arrives to old age is the difference between thankful for your genetics or very sorry,” I imagine telling my offspring. No, that is not going to come across …gently. How to say it? “Having the genes for living long does not infer enjoying the late years…” Blek! Why would they listen? What has this bug under my skin now anyway? 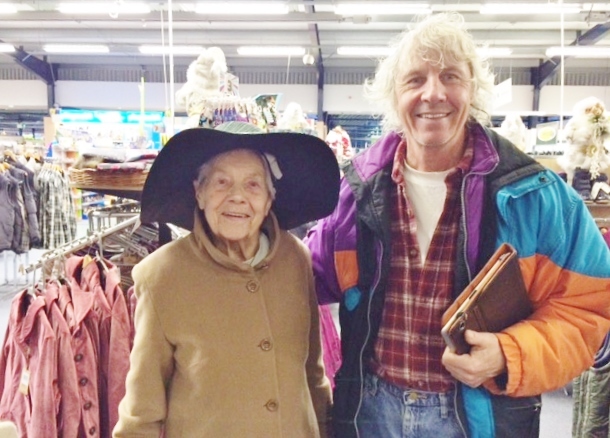 Long and short of it is that I have been living 24/7 with a 92 year old for the last four and a half months… and this has been a very sobering experience. Here is the scoop: I am a medical provider by trade and formal education, a holistic advocate and educator by cultural tradition, and a conscientious survivor of a number of serious illnesses, conditions, and injuries. Life has dealt me a curious set of circumstances, continuously! And my nature is to discover gems at the bottom of every challenge. I utilize these gems to live a more centered and purposeful life. If you are reading this, you are likely aware that I share my lessons, and the lessons of others, with folks because I remember how rare to easily find solutions. Since I arrived at my current residence, there has been little time for peaceful rest because the fact that this family matriarch is alive is nothing short of a miracle. The house was a tumble due to her diminishing vision and motor skills; plus, typical in our so-called modern society, the house was loaded with useless gadgets that became either: directly dangerous once vision and strength left, or indirectly dangerous being underfoot collecting dust and dust’s companions of bacteria, fungi, mites et al. Over time, a house requires maintenance, which left undone, builds into bigger redo projects. This clear work-to-do, on top of her physical condition continuing to play havoc unpredictably each day, and you have the makings of a full time job. Stir in the natural emotional concerns of going through this kind of challenge for a 92 year old. And, of course, throw in all the daily paperwork and accounting of living in a modern world that not only requires vision but also begs alert and organized attention unworried by the stress of one’s body, oh-so-slowly, falling to pieces. My subject keeps saying, “How do you think I made it 92 years?” when confronted with more change. Many changes to her home and lifestyle are very necessary. At first, I agreed that she had done well to get so far along. Over time, refreshing my knowledge base with the current research findings and conclusions, I began to ponder the picture from a bigger view (see References below). Thoughts like, how did she make 92 years in such a state?! How is she still walking? Finding a new surprise in some forgotten task or left undone chore, playing out all that could have befallen her had help not arrived; I began to understand that her longevity has little to do with her lifelong lifestyle choices. How to get to that high reaching goal comes back to where I always land with every life challenge: conscious lifestyle choices (see Resources below). Recognizing the effect, long and short term, of the many options in this current world, and carefully crafting a personal balance, is an ongoing lifestyle decision for me. The current experience now serves as even more weight in this center stage for self-education and conscientious practice/experimentation/play with what works for my body. Each one of us is a unique combination of genetics, environment, experiences, and character. There are no pat answers to a given diagnosis or condition or personal crisis. But we can start with renewing our goal to pursue happiness consciously and follow that lead to discover our unique form of balance. http://www.foodforthebrain.org/ A great resource for the latest practices based on research written for the “patient on the beat/street”…You. One of the best gifts of this website is a Cognitive Function Test that the site stores for you and reminds you to retake annually. This is one of my favorite sites for updating my patients, friends, and loved ones. “Do you want to add years to your life? Or life to your years?” asks the American Heart Association astutely. The one page link : http://www.heart.org/HEARTORG/GettingHealthy/PhysicalActivity/FitnessBasics/Physical-activity-improves-quality-of-life_UCM_307977_Article.jsp provides a quick look at the simplicity and benefits of adding ten minute exercise breaks to your daily routine to dramatically improve the quality of your years! Another idea in the non-pharmacological (and therefore, simpler) category are widening your alternatives. Yoga is a gentle no pressure method gaining more popularity even among conventional medicine advocates. In this link: http://www.ncbi.nlm.nih.gov/pmc/articles/PMC3193654/ I have copied a recent formal study that the International Journal of Yoga shared on “Exploring the therapeutic effects of yoga and its ability to increase quality of life” (the study review is not very long). If you have not tried yoga and/or you believe it is for the graceful or otherwise limber folk only, think again. Yoga has always been for every body type. Look into any stress reduction therapies to gift yourself, such as one or several of the many types of massage therapies; enjoy a pet - dog, cat, bird, whatever gives you a lift; relax with or get up and dance your heat out to music, live or recorded; just pausing to read a paragraph of your favorite novel or any passtime reading you prefer has been shown to reduce the production of adrenaline! Get the idea? take care of your smiles, hugs, and special moments...your way. Posted on March 19, 2015 by Janet Still MSN FNP and filed under janet's writing, Research studies, resources and tagged elderly dementia prevention. Someone very dear to me is being harangued about their blood pressure by a well meaning provider who must stick to their clinic's guidelines regarding testing, diagnosing, and procedural prescription. This beloved person has come to me questioning the whole picture and more natural ways to lower blood pressure rather than a single chemical medication, which is known to have uncomfortable side/adverse effects. I have sent this initial share of information to her and decided why not initiate the conversation with those of you following this blog. This is a direct copy of my message to her. "Right off the bat... motherwort tincture is a daily to lower BP; but Hawthorn is considered specific to reducing blood pressure by strengthening the heart. Seaweed daily in your diet; and garlic, lots of it, in your daily diet. I am going to attach some great links, all to Susun Weed sites, because she is rising to the top of the wise woman of our times group, very understandable, and always keeps herself educated on conventional research regards the matters of health that she addresses. There is much more I could share but I do not want to overload you. So look for the attachment and this link is to a video (the two links above are quickie reads). Not that Susun begins saying that motherwort and Hawthorn; hawthorn and Motherwort.... Susun Weed Show ~ The Basics -- Healthy Blood Pressure ~ SWS1110 "
Take care, Be happy and Be healthy! Brandt, KD. Effects of nonsteroidal anti-inflammatory drugs on chondrocyte metabolism in vitro and in vivo. Am J Med 83(5A):29-34, 1987. Brooks, PM; Potter, SR; and Buchanan, WW. NSAID and osteoarthritis—help or hindrance? J Rheumatol 9:3-5, 1982. Brown, Donald J. Vitex agnus castus. Clinical Monograph. Quarterly Review of Natural Medicine Summer 1994: 111-120. Burton, AF and Anderson, FH: Decreased incorporation of 14C-glucosamine relative to 3H-N-acetylglucosamine in the intestinal mucosa of patients with inflammatory bowel disease. Am J Gastroenterol 78:19-22, 1983. Carper, J. The Food Pharmacy. New York, NY: Bantam Books, 1988. Capps, JC et al. Hexosamine metabolism II. Effect of insulin and phlorizin on the absorption and metabolism, in vivo, of D-glucosamine and N-acetyl-glucosamine in the rat. Biochim Biophys Acta 127:205-12, 1966. Capps, JC and Shetlar, MR: In vivo incorporation of D-glucosamine I-C14 into acid mucopolysaccharides of rabbit liver. Proc Soc Expot Biol Med 114:118-20, 1963. Drovanti, A et al. Therapeutic activity of oral glucosamine sulfate in osteoarthrosis: a placebo-controlled double-blind investigation. Clin Ther 3:260-72, 1980. Kohn P et al. Metabolism of D-glucosamine and N-acetyl-D-glucosamine in the intact rat. J Biol Chem 237:304-8, 1962. Morrison, M. Therapeutic applications of chondroitin-4-sulfate, appraisal of biologic properties. Folia Angiol 25:225-32, 1977. Murray, Michael. Glucosamine sulfate: Effective osteoarthritis treatment. The American Journal of Natural Medicine 1(1), Sept. 1994. Newman, NM and Ling, RS. Acetabular bone destruction related to non-steroidal anti-inflammatory drugs. Lancet: 2:11-13, 1985. Pujalte, JM et al. Double-blind clinical evaluation of oral glucosamine sulphate in the basic treatment of osteoarthritis. Curr Med Res Opin 7:110-4, 1980. Ronningen, H and Langeland, N. Indomethacin treatment in osteoarthritis of the hip joint. Acta Orthop Scand 50:169-74, 1979. Setnikar, I et al. Antiarthritic effects of glucosamine sulfate studied in animal models. Arzneimittelforschung 41:542-5, 1991. Shield, MJ. Anti-inflammatory drugs and their effects on cartilage synthesis and renal function. Eur J Rhematol Inflam 13:7-16, 1993. Solomon, L. Drug induced arthropathy and necrosis of the femoral head. Journal Bone Joint Surg 55B: 246-51, 1973. Tesoriere, G, et al. Intestinal absorption of glucosamine and N-acetylglucosamine. Experientia 28-770-1, 1972. Yoshiro K. The Physiological actions of tang-kuei and cnidium. Bull Oriental Healing Arts Inst USA 10:269-78, 1985. Crolle, G and D'este, E. Glucosamine sulfate for the management of arthrosis: a controlled clinical investigation. Curr Med Res Opin 7:104–9, 1980. Belford-Courtney. Comparison of Chinese and western uses of angelica sinensis, kosalba. Australian Journal of Medical Herbalism 5: 87–91, 1993. D'Ambrosia, ED et al. Glucosamine sulphate: a controlled clinical investigation in arthritis. Pharmatherapeutica 2:504–8, 1982. Kaiser, K. Cross-cultural perspectives on menopause. Annals of the New York Academy of Sciences 592: 430–432, 1990. Kronenberg, F. Giving hot flashes the cold shoulder—without drugs. Menopause Management April: 20–27, 1993. Kronenberg, F. Hot flashes: Phenomenology, quality of life, and search for treatment options. Experimental Gerontology 29: 319–336, 1994. Okker, E et al. Effects of extracts from cimicifuga racemosa on gonadotropin release in menopausal women and ovariectomized rats. Planta Medica 57:420–424, 1991. Windsor, AC; Misra, DP; Loudon, JM; and Staddon, GE. The effect of whole bone extract on Ca47 absorption in the elderly. Age & Ageing 2:230–234, 1973. Coney, Sandra. The Menopause Industry: How the Medical Establishment Exploits Women. Hunter House books, Publishers Group West, 1994. Gladstar, Rosemary. Herbal Healing for Women. New York: Simon and Schuster, 1993. Griggs, Barbara. The Green Witch: A Modern Woman's Herbal. London: Vermillion, 1993. Henkel, Gretchen. Making the Estrogen Decision. Los Angeles: Lowell House, 1992. Northrup, Christiane. Womens' Bodies, Women's Wisdom: Creating Physical and Emotional Health and Healing. Bantam Doubleday Dell Pub, 1998. ISBN 0-553-37953-4. Soule, Deb. The Roots of Healing: A Woman's Book of Herbs. New York: Citadel Press, 1995. Wolfe, Honora Lee. Menopause, A Second Spring: Making a Smooth Transition with Traditional Chinese Medicine. Boulder, Colorado: Blue Poppy Press, 1995. A U.S. government publication, "Menopause," may be ordered from the U.S. Government Bookstore, Room 118, Federal Building, 1000 Liberty Avenue, Pittsburgh, PA, 15222. It costs $3.25. A pamphlet, "Taking Hormones and Women's Health: Choices, Risks, and Benefits," may be ordered from the National Women's Health Network, 514 Tenth Street N.W., Ste. 400, Washington, D.C., 20004. It costs $8 for members and $10 for nonmembers. Menopause, The physiological cessation of menses as a result of decreasing ovarian function by David L. Hoffman, M.N.I.M.H. Menopause is one of the major rites of passage human beings go through. In our "civilized" society, menopause is too often approached with dread by many women, fearing it as a time when their role as women becomes devalued. It is a time of change in their role as mother, lover, and wife. As people, unfortunately, tend to create their self-image and persona from their perception of socially defined roles, becoming those roles in time, there seems to be not much left when these roles are "gone". From a different perspective, menopause can be seen as a great gift in a woman's life, a liberation, an initiation. It presents an opportunity to re-evaluate one's purpose in life, perhaps to change in many ways, to see change not as something to fear but as an opportunity to embrace, moving on to greater fulfillment. Yoga stretches can benefit both the body and the mind, bringing energy and balance. This is particularly helpful to women who are currently in menopause or in menopause transition because their hormonal levels and body chemistry may be fluctuating rapidly. Weight loss, menopause and hypothyroidism Larrian Gillespie, M.D. is author of several popular books on health, including The Menopause Diet, and in this two-part interview, talks to Mary Shomon about how weight loss and menopause relate to hypothyroidism, and much more. Posted on January 29, 2015 by Janet Still MSN FNP and filed under discussions, information, Research studies, resources and tagged conditions. Save your arteries, save your life. Your health care provider warns you that your body is showing signs of Peripheral Artery Disease. The name sounds complicated, so naturally you want to understand better what is happening in your body and why. Peripheral Artery Disease, or PAD for short, is a catch-all name for conditions that damage your arteries. Weakening artery walls, and plaque trying to repair the artery walls, disrupt the easy flow of blood through the artery vessels. Caught early, progression of PAD can be controlled. Most often, atherosclerosis is what people, even your medical provider, are talking about when they say PAD or peripheral artery disease. But the name PAD actually means any of the conditions that can afflict the arteries. So listen and ask questions to understand which type of PAD you have. In this article, I address atherosclerosis since this is what many people come to me with questions about. And I am also discussing atherosclerosis because some dear friends and associates of mine have learned their thickening arteries are threatening their well-being. Later, I will follow up this article with more on other types of peripheral artery disease. Your provider’s diagnosis of PAD may have come as a surprise because you feel fine, no unusual symptoms. Maybe you feel a little bit of achiness, tightness or heaviness in your legs climbing the stairs, maybe some occasional numbness in your toes or fingers, or maybe some cramping in your legs or buttocks. Rest improves the discomfort and those crampy muscles can mean many things, but these signs can also indicate poor circulation. With PAD, poor circulation results in less blood reaching the muscles during exercise. Think of how blood brings life and warmth to all parts of your body, then you will understand how poor nail and hair growth is also a sign of PAD. Other possible changes include sores on your feet that heal slowly, cold feet especially if one is colder than the other and the corresponding pulse is weak too. Plaque build-up along the artery walls, atherosclerosis, is the most common cause of PAD. Plaque occurs as your body tries to heal damage to the lining of your arteries. For example, high blood pressure from smoking tears at the lining of vessels. Plaque tries to cover the damage. High sugar levels in your body, from diabetes and insulin resistance, damage the lining of blood vessels too. Eating the wrong kinds of fat, which alters cholesterol levels, creates more plaque-building material in your vessels. Since more of these conditions are seen as we age, old age is a risk factor. If you or a close family member have had a stroke, you are at risk for PAD. Smoking, diabetes, obesity, sedentary lifestyle and heart conditions all have ways of weakening the artery walls. If the causes of PAD do not make it obvious why your provider is concerned about your peripheral artery disease, here is a short list of what conditions and discomforts could be in your future unless you take steps now to redirect your body. Having PAD increases the chances you will experience other cardiovascular diseases such as: heart attack, stroke, mini stroke and other threatening heart complications. Once plaque lines an artery wall, more plaque is attracted, eventually making less room for blood to flow through the artery. Clots from the plaque can break away and suddenly jam a heart or brain artery. The symptoms of PAD are uncomfortable and painful but the long term effects are dangerous to your longevity. Over time, the effects of poor circulation add up. But you can take steps to slow down PAD and possibly halt its continued ravages to your arteries. You must have a provider to oversee your lifestyle changes, because the provider recognizes and teaches you to recognize the danger signs, helping develop a safe plan back to health. Learn the red flags right away: severe pain in your leg; infections that worsen despite care; loss of feeling in one or both feet; and know the signs of stroke and heart attack. There are surgical repairs for the worst case scenarios or, better yet, get help now to stop smoking and to alter your eating choices in a wise and safe manner. And get more active again to avoid weight gain contributing to plaque build-up and to improve circulation to the areas of your body where bloodflow has been limited by PAD. As always, there are nutritional changes you can make to ease up some of the load, plaque build-up, your arteries are taking. One of the worst additions to our modern diet that people do not even realize they are eating is sugar in its many forms with its many, many names. Sugar, especially the new forms of sweetener via high fructose corn syrup and its numerous derivations, are added to nearly every pre-made and/or processed food you purchase in our modern nation. Sugar ravishes your body in countless insidious ways. Please review my previous ongoing discussions/articles regarding what has become common knowledge today among providers keeping up with the latest research on nutrition and on research of the effects of modern food additives. For an example, if you are still choosing the low fat products, you are consuming sugar in far greater than balanced proportions. How can this be so? Besides going back and rereading my articles and the links to the research that I have previously provided, you can contemplate how money is the bottom line when it comes to selling. So what makes you choose a food? Taste figures in there near the top, doesn't it? When naturally occurring whole fat is removed from a dairy food, the feel-good and taste are altered. To compensate, the big food companies early on recognized a bit-o-sugar makes the medicine go down. Today, in order to keep consumers from noticing they are buying sugar, chemical names and new brand names are given to the various sugars added to foods for flavor. So heads up! if you have PAD, you need to cut the sugar out of your diet everywhere you can sniff it out! This is a good start. In subsequent articles, I will continue to expose the unsuspected sources of sugar in commonly chosen foods in affluent, wealthy, and developed nations. In subsequent articles on PAD, I will also discuss other ways you can alter your lifestyle to help you win the race against this mysterious killer. Libby, P. (2005). Prevention and treatment of atherosclerosis. In Fauci, Braunwald, Kasper, Hawser, Longo and Jameson (eds.) Harrison's Principles of Internal Medicine. 16 ed. New York: McGraw Hill pp 1430-1433. These are just articles and reviews written by Janet Still MSN FNP. There are also many links on this website with articles by others on the same topic of how to become more aware of what is really going on with your eating habits and what to stay abreast of in the current food industry trends and research on the effects of current food industry practices. Family Nurse Practitioner Janet Still began writing and sharing fiction and poetry in her early years as a pre-med student. Still expanded her published writing to non-fiction after earning her Masters of Science in nursing in 2007. She is a contributor to academic health forums and blogs and the primary writer on the Lifestyle Modification Support blog. Posted on May 22, 2014 by Janet Still MSN FNP and filed under discussions, information, janet's writing, Research studies and tagged conditions. These ten benefits definitely fall in the category of "Amazing" given that many of us were raised in a culture negatively biased regarding coffee. But many of you, like I have, may have been following the results of lab studies over the last decade or more revealing why we love to love coffee. I appreciate this article because it offers links to cited information and discusses research on our favorite pick-me-up. However, hands down, the exciting details revealed in the article are the specific details regarding in what way coffee prevents, and in some cases, cures some of the worst serious illnesses of our times. The end of the article shares coffee recipes including information about new innovations in how to make use of all parts of this beneficial plant for our good health. So, cheers! fellow coffee aficionados. Posted on April 29, 2014 by Janet Still MSN FNP and filed under discussions, information, Research studies, resources and tagged infographic. Posted on March 20, 2014 by Janet Still MSN FNP and filed under discussions, information, Research studies and tagged Lifestyle. What is new about encouraging yoga for arthritis? More research! to back up the benefits of mild to moderate exercise for arthritis, including research specifically using yoga. The research enhances what yoga enthusiasts have been saying for decades: yoga provides many benefits specific to arthritis without alarming physical high jinks and manipulations. What is important to know about yoga for arthritis? Yoga styles vary; some are well-suited to arthritis, others not so much. Yoga postures are specific to parts and regions of your body; begin with an educated instructor to choose the safest postures for your particular arthritis. Yoga strengthens muscles, thereby supporting joints for a longer joint life, more overall stability in daily activities, and less pain. Yoga provides more than exercise; yoga improves your lungs’ capacity, yoga enables deep relaxation, and yoga increases mental clarity. How does yoga accomplish all this? Some yoga postures strengthen the large muscle groups that are used for the position, which then benefits the corresponding joint by lessening duress on the joint. Yoga increases range of motion, which gives you more room to work with before reaching your joint’s stress point. The combination of deep conscious breathing combined with focus on the body during the positioning for each posture has been shown to increase endorphins. Endorphins are those “feel good” hormones that up your mood and sense of well-being, decreasing the sensation of pain. As with all exercise, the movement and breathing causes your body’s blood, filled with needed oxygen, endorphins, and nutrients, to move more effectively into your muscles. What do you need to know to have a positive experience with yoga and to experience improvement in your pain levels? Research shows that each individual discovers their unique range within any exercise as far as stretch and endurance. As with all exercise types, begin slowly and gradually increase how much you are doing as your strength for the practice improves. An experienced and specifically trained instructor will know which postures are safe and how far to go with the position. So choosing a qualified instructor insures you have the best support for learning your range. Some classes are for yoga performed in a chair! So whether you are limited to a chair or if you need to incorporate exercise into a sedentary work situation, you have options to enhance your personal experience with yoga. Choose from Hatha Yoga schools and teachers for yoga best suited to Arthritis. Some Hatha Yogas which work well with Arthritis are Iyengar, Integral, Ansura, and Kripalu. See the Resources list at the end of this asticle for more links to schools of yoga. The “always” list: Talk to your Arthritis Provider before beginning the first yoga class to receive specific instructions about any restrictions or limitations to share with the instructor. Discuss with the Instructor their experience with Arthritis students as well as your doctor’s recommendations for your specific condition. Choose a beginners class and progress slowly even if you feel good during the class. The saying “no pain, no gain” does NOT apply to you or to yoga. Pain means slow down, pull back some on the stretch, and/or take a break. Gothe, N., Pontefex, M., Hillman C., and McAuley E. (2013). The Acute Effects of Yoga on Executive Function. Journal of Physical Activity & Health 10(4):488-95. A systematic review; Journal of Evidence-Based Complementary & Alternative Medicine 18 (3). Posted on October 20, 2013 by Janet Still MSN FNP and filed under information, janet's writing, Research studies, resources and tagged conditions Lifestyle. High Blood Sugar in Diabetes 2: What To Do? You have a diagnosis of Diabetes type 2 and are doing a great job taking your new medications on time and paying attention to your diet to prevent high blood sugar. Today is, perhaps, a different day from your routine though; before you know it, time has run away from you, and you do not feel so well. Could this be your blood sugar running high (hyperglycemia)? Classic signs that your blood sugar is running higher than is safe in Diabetes type 2 are emptying your bladder more often than is typical and feeling much thirstier. These two symptoms can fool the distracted mind since they seem to go hand in hand. Just because you are drinking more, you expect to empty your bladder more. Yet when you have Diabetes 2, you now are the captain of your body with full duties to respond to signs from your body that the ship may be experiencing a violation to the integrity of its hull. So, make a mental note: any signs of change in your routine bodily behavior could be a distress signal from your body. Fatigue, blurred vision, headache are also signs for increasing blood sugar levels. Start issuing orders to self and, if necessary, your healthcare team. Before I go any further, if you have not been advised, or have not taken the forthcoming instruction to heart yet, your blood sugar running high for long periods of your day is a recipe for disaster. This fact can be a struggle to accept until the individual recognizes that high blood sugar is not merely something to worry about far off in the future, but if your body is unable to keep your blood sugar levels from rising right now, you are potentially heading for a diabetic coma…right now, today! For those of you that are seeking a way to turn around this character in your life called Diabetes 2, this brief article is to provide you some resources and information that you can implement quickly, six steps for your immediate hyperglycemic situation. Steps that can be used to prevent hyperglycemia over the long term are mentioned at the end of the article. Taking charge of your Diabetes 2 or even the pre-diabetes condition is as simple as educating yourself and implementing lifestyle changes that you can truly live with…figuratively, and literally. The information in this article is not meant to replace instructions from your Diabetes provider and instructors. This information is meant to help you follow your Diabetes 2 instructions with more ease, and hopefully, with more joy. Life is famous for changing the game up, as the saying goes. This goes double for someone with Diabetes 2. Staying with our first example, let’s say you are able to check your blood sugar and learn it is above 200. You recall your Diabetes 2 instructors telling you that above 180 is moving into dangerous levels and that means your body does not have enough insulin. What can you do right now to move into a safer blood sugar level? Wait! How the heck did my blood sugar go up? I did everything right this morning. I took my medications on time, ate a healthy breakfast, and even got in some calisthenics before my morning shower. First of all, if you do not already know, many particular activities or situations can cause your blood sugar to rise. Supplies to always have on hand are your glucometer for checking your blood sugar level, a travel ketone urine kit, and extra anti-diabetic medications. Stress is a biggie, which includes stress from being sick, overworked, happy or sad, or simply overly anxious. Why? Increased stress causes your body to release hormones related to the cause of the stress, which in turn elevate the level of glucose in your body. Even people who do not have Diabetes 2 can have hyperglycemia from increased or prolonged stress. Checking your blood sugar levels when you experience suspicious changes in your body’s routine is a seriously necessary step in addressing hyperglycemia. Returning to our example of a busier and more demanding day than usual being today’s cause of high blood sugar, ditching the worksite to run around the block in your best professional attire may not be appropriate or even possible. More importantly, because your blood sugar may have risen quickly in response to stress, your body may have begun making ketones. Depending on the severity of your stress level today and how high your blood sugar has risen, collecting some urine for your travel ketone test is a smart idea. Exercise is dangerous when your body is producing ketones. If your urine kit tests positive for ketones, call your doctor now for immediate advice. Repeat: call your doctor now for immediate advice. Ketones need to be addressed now. No ketones? Awesome news! You have caught the body’s signals in time to take charge without calling the doctor’s office. Your Diabetes 2 provider may have already given you instructions for additional amounts of medication to take when your blood sugar has risen. Follow the game plan and keep track of details, maybe jotting some notes on things like: what caused you to check your blood sugar level initially before the scheduled time, whether you get in some exercise after taking the medicine and before checking your blood sugar level again, and how fast the symptoms that annoyed you (thirst, fatigue, headache) change or improve. About getting in some exercise ….. I have written previously on ideas for including moderate exercise that is enjoyable to you on a more routine basis (see LMS article dated September 2013). Unexpected, undesired! bouts of hyperglycemia are why you want to make a habit of moderate exercise. In pre-diabetes, adding routine moderate exercise and reducing foods that increase blood sugar dramatically can prevent your ever having to take medication for persistent high blood sugar levels. With a Diabetes 2 diagnosis, exercising can prevent the ravaging effects of continued high blood sugar on your body. Besides the short term danger of runaway blood sugar levels causing a diabetic coma, long term uncontrolled hyperglycemia is what causes all the frightening complications of Diabetes 2. Becoming the captain of your body, this proverbial ship, is as simple as learning what exactly is causing what to happen in your body, and changing up the orders to yourself regarding when to enjoy various activities. 6- Follow the game plan created by your Diabetes 2 instructors until your blood sugar level returns to normal. Discovering your blood sugar level is rising and learning to recognize the signs of blood sugar rising are key elements in preventing serious consequences from hyperglycemia. When life has altered from the routine, be ready to alter your routine Diabetes instructions to make unscheduled checks on blood sugar levels and ketones by having a glucometer and urine ketone kit available. If your body is not producing ketones yet, exercise to use up as much of the additional blood sugar as possible. Learn or create ways to increase exercise for your unique situations, like desk yoga, tai chi while talking on speakerphone, jogging in place between customers, whatever applies to your personal circumstances. Most imperative, know your Diabetes provider’s instructions for elevated blood sugar levels and act on them without procrastination. Your body relies on you to stay afloat through life’s changes. Be the smart captain of your ship by seeking and creating simple ways to remember your healthcare plan. Casteneda, C., Layne, J., Munoz-Orians, L., Gordon, P., Walsmith, J., Foldvari, m., Roubenoff, R., Tucker, K., and Nelson, M.; 2002. A randomized controlled trial of resistance exercise training to improve glycemic control in older adults with type 2 diabetes; Diabetes Care 25, 12; 2335-2341. Nathan, D., Buse, J., Davidson, M., Heine, R., Holman, r., Sherman, R., and Zinman, B.; (2006). Management of Hyperglycemia in Type 2 Diabetes: A Consensus Algorithm for the Initiation and Adjustment of Therapy - A consensus statement from the American Diabetes Association and the European Association for the Study of Diabetes in Diabetes Care 29, 8; 1963-1972.
van Dijk J, Tummers K, Stehouwer C, Hartgens F, van Loon L.; 2012. Exercise therapy in type 2 diabetes: is daily exercise required to optimize glycemic control? Diabetes Care 35, 5; 948-54. Posted on September 16, 2013 by Janet Still MSN FNP and filed under discussions, information, janet's writing, Research studies and tagged conditions. Can Exercise Improve Your Diabetes? Easy answer …yes! But you knew I would say that. And that answer is just not enough, is it? Or for some of you, maybe it is and you are reading this article simply to get to the facts and suggested resources in hopes of finding something you can easily incorporate now into your everyday life. For both camps of readers, the purpose of this article is to briefly lead you to your unique goal of improving your health and your prognosis report. First, for those of you that are reading with a feeling of angst regarding exercise, I understand that this condition of diabetes has likely already created much more upheaval to your lifestyle than you ever imagined you would have to endure. This article is purposefully brief with a goal of providing you some simple directions you can take today to retake control of your body. For those of you that have already accepted change is your choice and who are seeking a way to turn around this character in your life called Diabetes, this writing is to provide you some resources and information that you can implement quickly, for your short term goals, and also that can be used to refine your direction over the long term. When your healthcare provider mentions that exercise improves glycemic control, she/he is sharing a key to your taking some of your body back. Plenty of research over the years continues to evaluate the specific details of how physical exercise alters blood sugar levels and reduces the body’s requirement for anti-diabetic medications. Reread that, yes, I said that exercise so changes your blood sugar levels that you will have to take LESS of your diabetes medications. Write that on a piece of paper and tape it to your morning mirror as motivation. Three days a week, 30 minutes of moderate exercise, this is the repeated consensus of the minimum to reduce blood sugar. If you do not know, the way exercise works is that your muscles use the blood sugar! too, so that means less work on your pancreas and less work for your medication. Sounds good; let’s keep going with the good news….. what does “moderate exercise” mean exactly? My favorite way to define moderate exercise is: activity that allows one to engage comfortably in conversation while doing the activity. Easily one can see many activities one could incorporate into daily life that allow talking. Walking briskly with a friend or with your dog or how about from the far end of the parking lot are simple changes to include this moderate exercise. Playing with the kids or the neighbors’ kids an easy game of catch ball for 15 – 30 minutes and voila` you have just improved your body’s ability to manage its blood sugar level. Using stairs instead of the elevator; add up your time spent with household or office chores like vacuuming, dusting, and tidying at the end of the day; there are many normal activities that you can do with a focus to increasing your time spent moving. I already do all that, you say. Or some of you say that thinking about it makes you tired. This is your body, your health, your independence, so I am assuming you read this with hopes for something unique to your situation. Taking a class is often a great way to have someone do all the calculating and training for you. Classes and trainers are a great idea to wake up your mind regarding what moderate exercise feels like; how to protect your body from injury so that you can keep exercising and taking back your life; and to just get you moving in a new direction. Choose the activity and teacher with an eye to gradual progression from your level of fitness to a moderate routine. Interview the teachers. Any trainer worth their salt cares about the people in their class and is also a great resource for more appropriate classes for your individual circumstances. There are some standard resources for everyone regarding exercise and many other health topics, so keep them in mind as a back-up when making decisions about your health plan. The Center for Disease Control and Prevention (CDC) always has brief and current statements available online with links to more detailed resources. The National Institute of Health also keeps abreast of research on health topics and routinely posts simple information. An example of the type of information you can find online is this very short info sheet on how much activity is sufficient for adult health: http://www.cdc.gov/physicalactivity/everyone/guidelines/adults.html which outlines specific types of activity to meet the minimum requirements of adult health. The CDC also has a phone line dedicated to providing information at: 800-CDC-INFO (800-232-4636). Yoga gets you moving and gently waking up those unused muscles, which can protect you from injury. Tai Chi is actually considered to be resistance exercise, so adds the benefit of keeping your bones healthy too. Dance classes with a focus on fun, movement, and progressive strength building are a happy way to keep your muscles using up blood sugar while having a good time meeting new folks. If a swimming pool is available to you, aqua aerobics is easy on the sense of working hard because water lessens the gravity while absorbing heat. And always walking is the simplest, most flexible, and very affordable exercise for changing your lifestyle into something you can still call your own. Call up your local hospital or your provider’s clinic to ask for recommended exercise groups, trainers, and/or classes. Schools and colleges offer adult education classes all year nowadays and usually include at least a few exercise classes at a reasonable cost to get you connected to your community’s resources. As mentioned before, classes offer the added benefit of meeting others with like goals as well as networking connections in general. Some gyms offer less expensive memberships for attending workout classes only. And just get out and walk….take notice of how you feel before and after the walk. Chances are very good that you will be glad you now have a good reason to get back into using your body…because it plain ‘ole feels good. Casteneda, C., Layne, J., Munoz-Orians, L., Gordon, P., Walsmith, J., Foldvari, m., Roubenoff, R., Tucker, K., and Nelson, M. 2002. 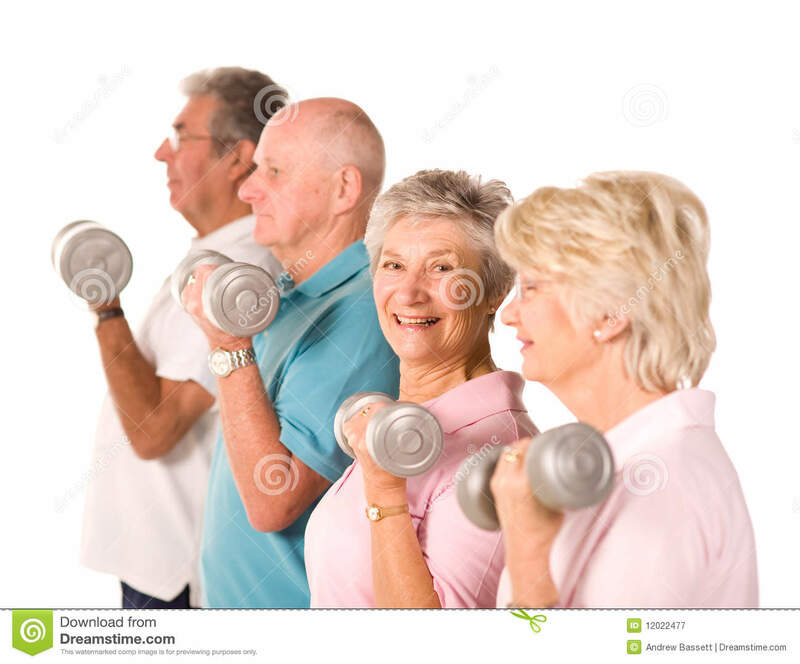 A randomized controlled trial of resistance exercise training to improve glycemic control in older adults with type 2 diabetes; Diabetes Care 25, 12; 2335-2341. Posted on September 5, 2013 by Janet Still MSN FNP and filed under discussions, information, janet's writing, Research studies, resources and tagged conditions. "Your brain thrives on fat and cholesterol" and the products that are fat-free are depriving you of needed nutrients. Lifestyle Modification Support (LMS) has been talking about this the past year.... I hope you will consider the information seriously. Look up the references and many many articles addressing this issue. Some times reading the daily news feeds on health, the scene resembles a battlefield. There sure seems to be a lot of contenders for the battlefield! Scrutinizing the players more closely with an eye to motives, one could get the impression that the real prize is money .... not providing the most efficient path to whole health. Meanwhile, folks are also making a living providing you with information...well some are. Might I make a suggestion? always read the books and articles remembering what the authors stand to win by promoting their viewpoint. This is no critique on the book above or any information in the news today in particular. I mean this caution honestly. Patient-centered healthcare planning begins with You educating yourself and making a commitment to directing your care, and life therefore. Another way to say this is: taking the helm of your healthcare direction means being accountable to your awareness and decisions. . . . which includes changing your mind when you learn new data and sift it through your discerning brain. So I am describing an ongoing process or a "way of life"... an active occupation of being responsible. To maintain a discerning mind requires a well nurtured brain. A healthy brain mind is the key to enjoying life, the "feeling" of being alive, many tout. Makes sense to me, and even further, my own experience is that when those around me are healthily vital, alert and discerning, and capable of interacting spontaneously in given situations and circumstances, I benefit, the people I care about gain much in expanded awareness, and the ever expanding world grows and evolves in front if us by our own volition. I am stating, (I am certain your discerning mind has caught by now), my motivation for sharing this information, nearly all the information in the Lifestyle Modification Support (LMS) blog. And I am also explaining to you why it is so important that you care about your brain's health. A curious observation of healthy vital folks is that they seem to love, thrive on, life, and its challenges. While those that are "tired" and describing they just want to stop thinking or working at the end of the day (some the beginning or middle of their day sadly) appear to censor aspects of life, especially anything challenging. Why, this one wonders. Some of you are answering, well that is normal, isn't it? We work all day; we get tired; and we go home to eat, drink, and sleep. IS this normal? Whose normal? When did this become normal? What else was going on historically when this picture became normal? A few points to contemplate. I am not here to do all of your homework; I am here to stimulate your attention. If you are too tired to desire the healthy and engaging challenges of life, what can you do to wake up your brain? Should you want more out of your life, how can you make active movements towards creating the aliveness you enjoy? LMS has been sharing references all along this ongoing discussion and its many permutations and we are so happy to continue doing so. But bottom line today is: please consider that you really are what you eat. With some foods/chemicals, time on the particular element or food must be lived to realize the changes ... both healthy and fatiguing. Lifestyle Modification Support will continue to add articles on good food for your brain from many sources. Meanwhile, scroll down the front page of LMS to reread the articles shared already on how fat is required for brain cells to function. For a really adorable article, easy to read and understand, on how our brains evolved via fat, read The Human Brain from the Franklin Institute at: http://www.fi.edu/learn/brain/fats.html . Or read Brain Food: Good Fats Better for Memory on LiveScience at: http://www.livescience.com/20429-good-fats-good-brain.html . For those of you preferring a more scholarly diatribe but brief, check out Dr Gary Wenk's article in Your Brain On Food titled Dietary Fats That Improve Brain Function at: http://www.psychologytoday.com/blog/your-brain-food/201205/dietary-fats-improve-brain-function . I sincerely hope this helps you get started, if you only just catching up to this conversation. Always, stay awake and alive! and feel free to contact me personally or via this blog to share your thoughts, concepts, questions, or concerns. Posted on August 8, 2013 by Janet Still MSN FNP and filed under discussions, information, janet's writing, Research studies, resources and tagged Nutrition.